Ubisoft have announced that weapons and armour will be customisable. Although you will wield the same weapon per hero for the whole game, you will be able to vastly adapt and evolve your weapon, by making it more powerful and changing its appearance. As you gain experience, a weapon and armour upgrade is inevitable, so take a look at the list of weapons available below. A two-handed Longsword used by the For Honor Warden. 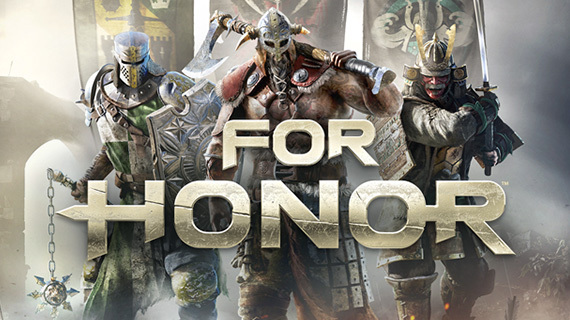 A versatile weapon, which offers a balance of offence and defence, They are signature Knight weaponry and are one of the easiest For Honor weapons to master. The For Honor Raider’s weapon of choice is the Footman’s Flail. One of the most vicious and deadly weapons available, it is a huge steel-spiked ball, linking to a heavy wooden handle and dangling from a iron chain. The best weapon to concuss enemies. The agile Peacekeepers are rapid in movement and wield a small sword and dagger. They move silently and slice enemies with quick counter-attacks. A low damage weapon, which requires skill and patience to master. A strong yet agile hero, the Lawbringer has the traits from the heavies and vanguard classes. 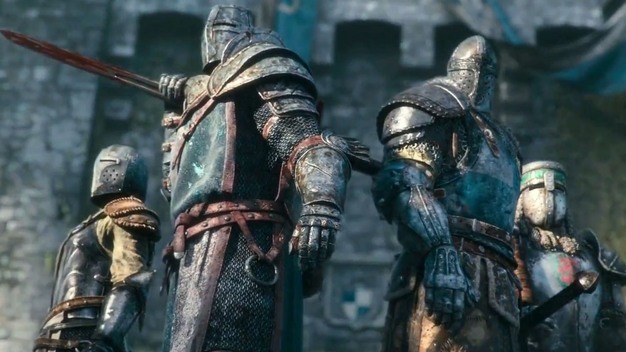 They use a strong and effective weapon called the Poleaxe that is one of the most versatile in the game. A great weapon for thrusting attacks, with a sharp blade used for slicing opponents. The Kensei’s weapon of choice if the classic Nodachi. This is a longer, slender version of The Orochi’s Katana. Initially designed for horseback, due to it’s unwieldy length, The Kensei has spent years mastering the weapon and now have the skills to use this in battle. It’s ideal for long lunge attacks and creeping up on enemies. 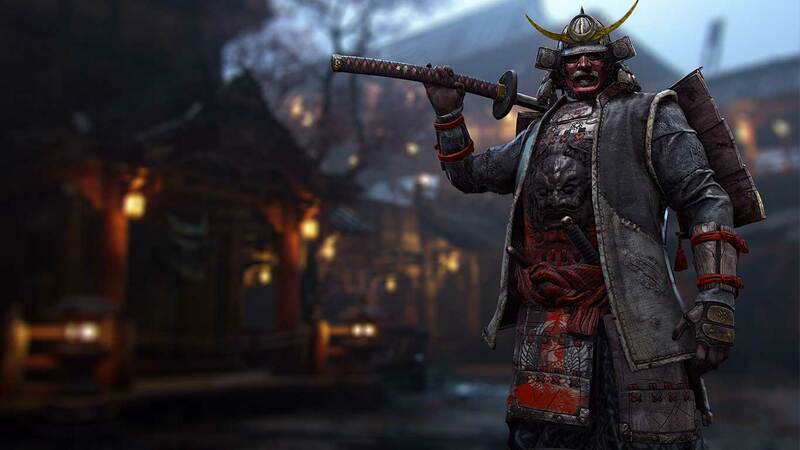 A smaller and more nimble version of The Kensei’s Nodachi, the Katana is a single-edge curved sword, which compliments The Orochi’s swift movement and stealthy skills. The Samurai tanks. The Shugoki belongs to the heavies class and wields the Kanabo, traditonal club weapon. Although the Shugoki moves slowly, with the club following suit, but when used correctly, devastating high damage blows can be deadly. The Nobushi has a tactical playstyle, causing grievance to any player they comes up against, with quick movements which give them great defensive capabilities. The Nobushi uses the Naginata, a long agile weapon made of wood, featuring a curved blade that can stab, hook and bash enemies. The Long Axe is a Viking beauty, with a massive, sharp head mounted on a slim, long handle. A fearsome and deadly weapon, which is ideal for smashing hoards of enemies and brutal longer range attacks. 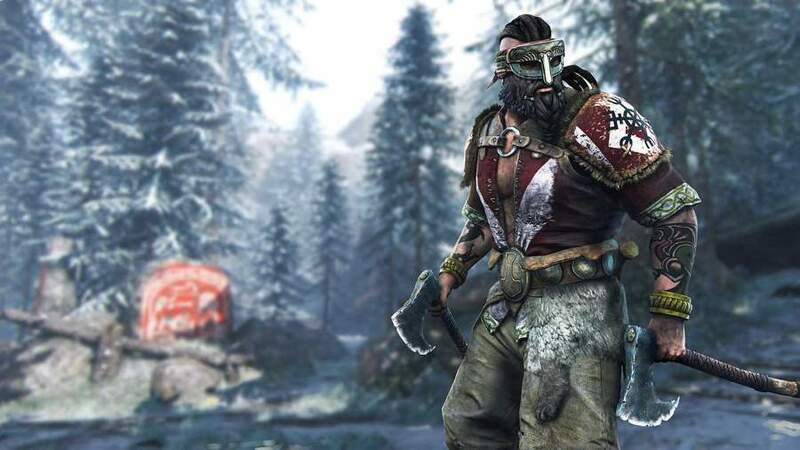 The For Honor Berserker wields two menacing Viking Hand Axes. A short range weapon which reflects the Berserker’s vicious style and in your face attacks. A balanced weapon which throws weight into his lethal harassing nature. The lesser known of the Vikings, they’ve earned their place in the battlefield and use sturdy weapons that get the job done. The Gladius is a small sword, which can deflect blows and unleash deadly close-range attacks. Paired with a Shield, the Warlords are very defensive, but highly effective in dealing counter-blows. Their complex combos and takedown skills make them a threat on the battlefield, paired with a long spear that gives precise blows to enemies that are thrown off guard. Although they have little protection, they use a shield in between attacks for enemy takedowns.